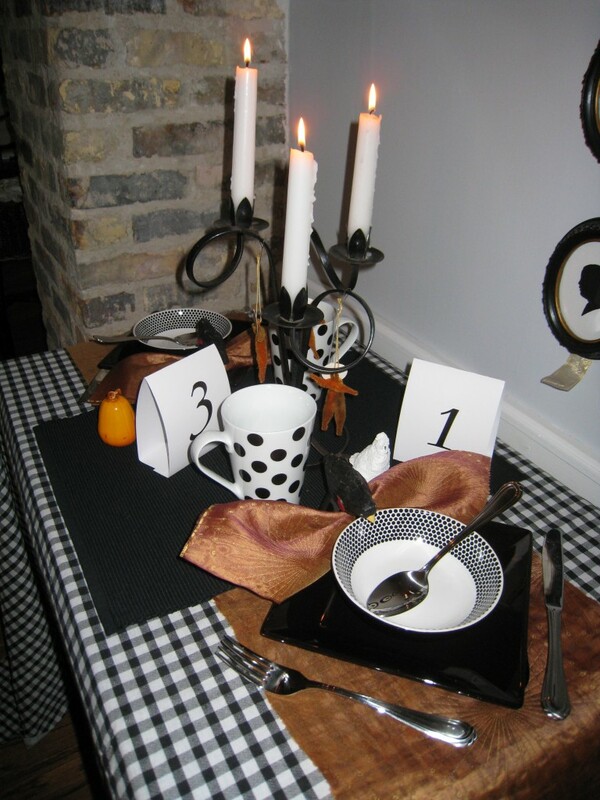 Who said Halloween tables have to incorporate witches, goblins and bats? I set a charming lunch table for two using grown up Halloween decorations. I love to layer my table with fabrics and textures. We bring out our sweaters and jackets in the fall; do the same at the dinner table. Think warm and cozy. In this instance I used a black and white check fabric topped with a runner made from left over silk embossed fabric. You can use a colorful scarf right out of your closet. Then I added a black placemat in the center. 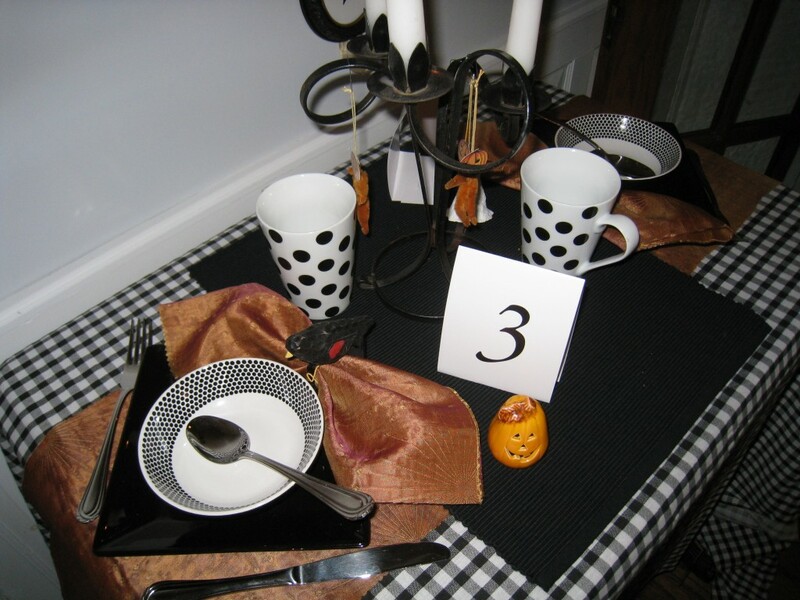 I have used my square black salad plates and polka dot bowls and mugs many times, but they are perfect for October entertaining. With the plate set on “point”, it made sense to angle the flatware too. It’s OK to break the rules. Look for something unusual. I love the set of wood crows I found at Goodwill. They are perfect as napkins rings. 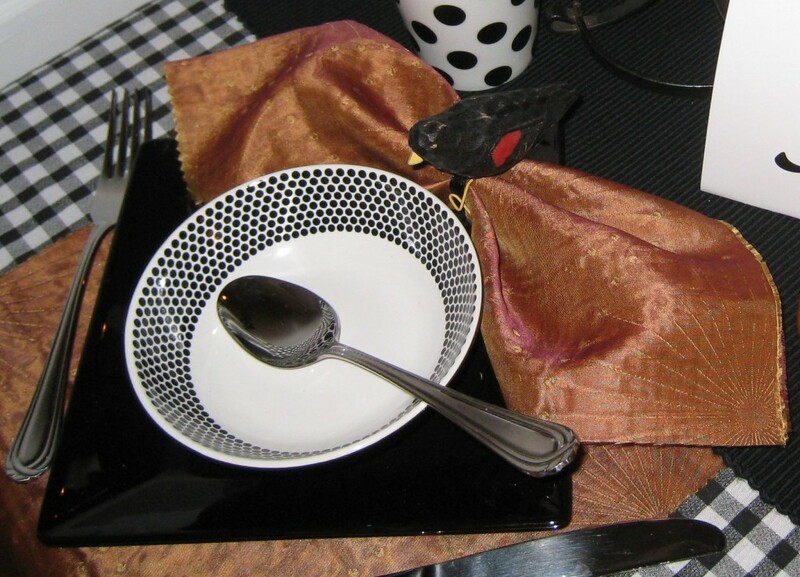 When arranged on a plate, the crow appears to be sipping from the soup! I folded the napkin (made to match the runner) in a bow-tie shape. The wire from the crow holds it together. Share your lunch with a little wooden crow! An old iron candelabra sets a spooky mood. I threw in a ceramic pumpkin and ghost for grins. I certainly don’t need place cards when only two people are dining. 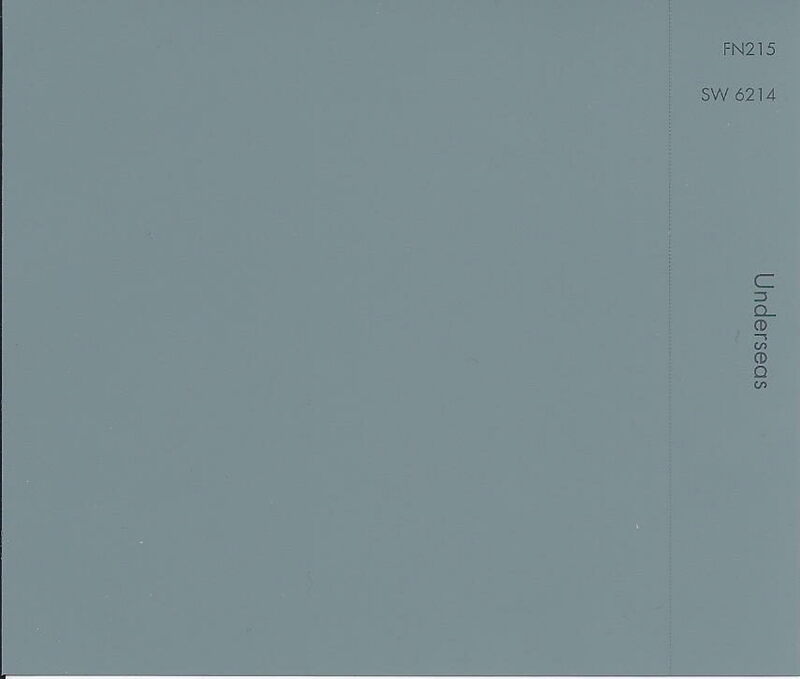 I just love the graphic nature of the number cards. Have fun with your table, even when it’s dinner for two! Office Remodel ~~ Lights, Carpet, Paint!